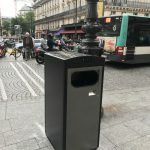 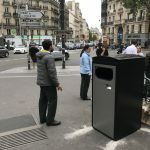 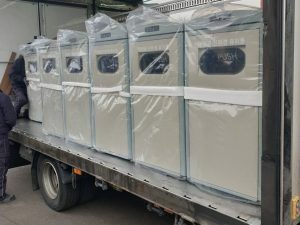 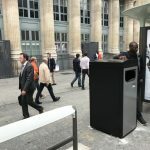 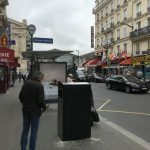 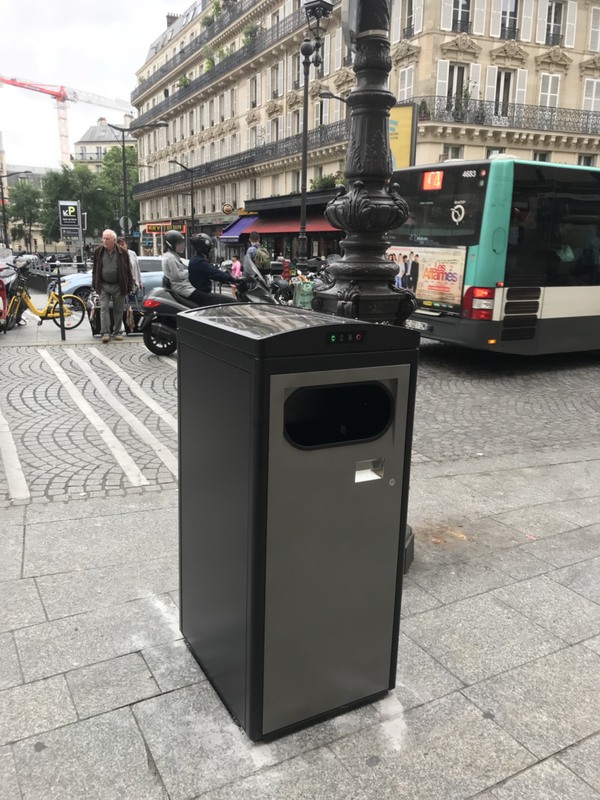 The municipality of Paris has installed fourteen CleanCUBE solar-powered trash compactors in its 10th district as part of an evaluation programme to prevent overflowing waste and improve street cleanliness. 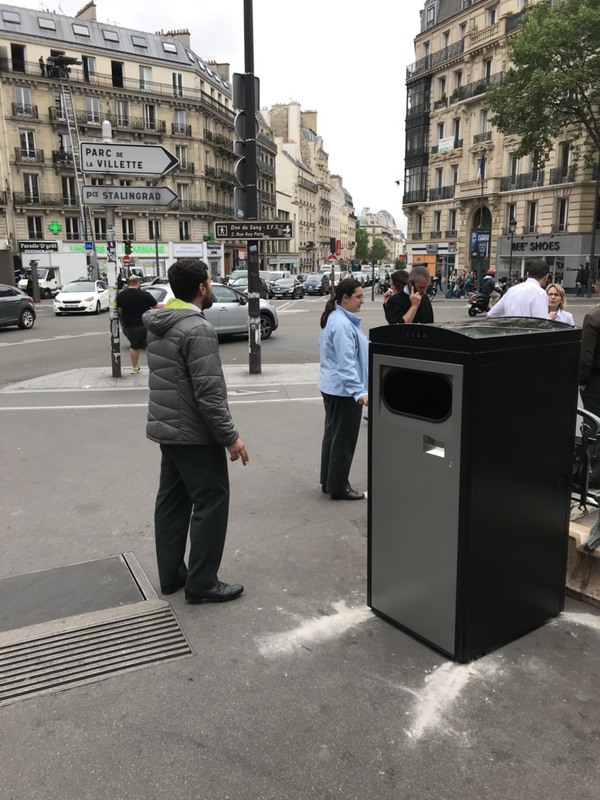 The installation is part of a 6-month long assessment where the French capital is pilot testing various IoT-based solar waste compacting technologies. 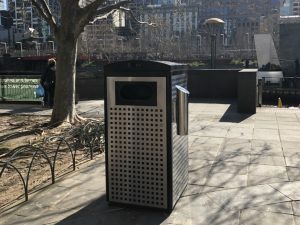 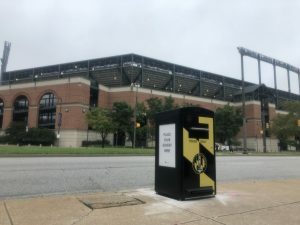 With a successful outcome from the trial, the city will be rolling out the solar-powered compactors to all of its administrative districts in the future. 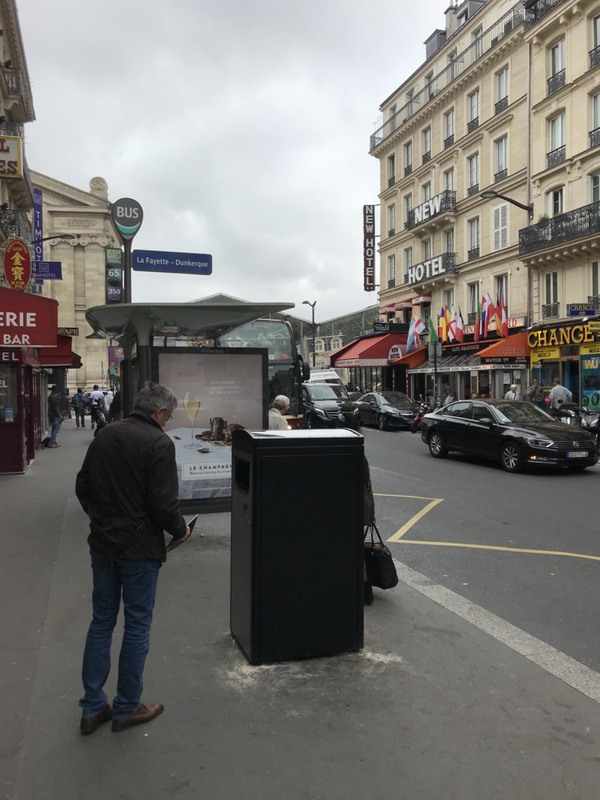 The fourteen CleanCUBEs are located in close vicinity of Gare du Nord, one of the six large terminus stations of the SNCF mainline network for Paris. 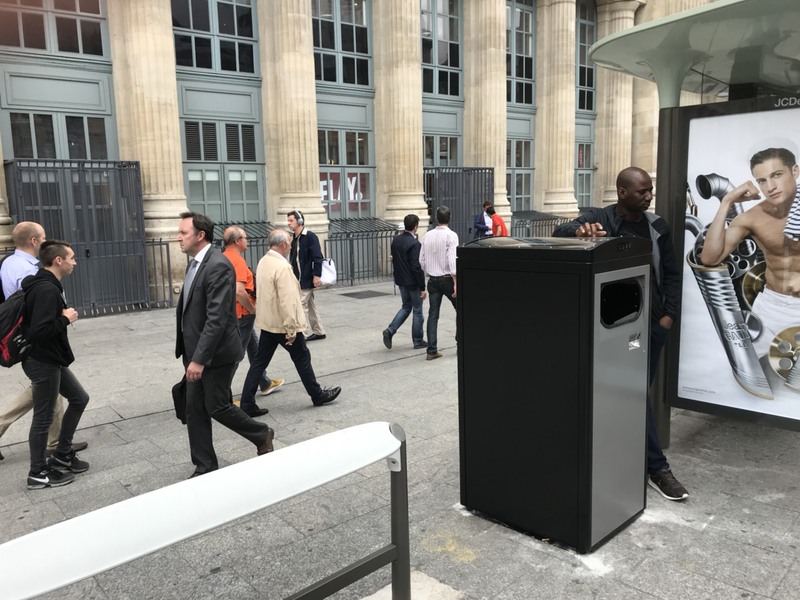 By the number of travelers, at around 214 million per year, it is the busiest railway station in Europe and therefore has a significant impact on the waste generation in its proximity. 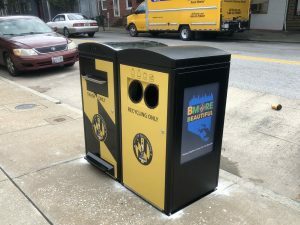 Typically the litter bins in the area are collected multiple times per day, but the city is now aiming to keep the collection journeys to a minimum. 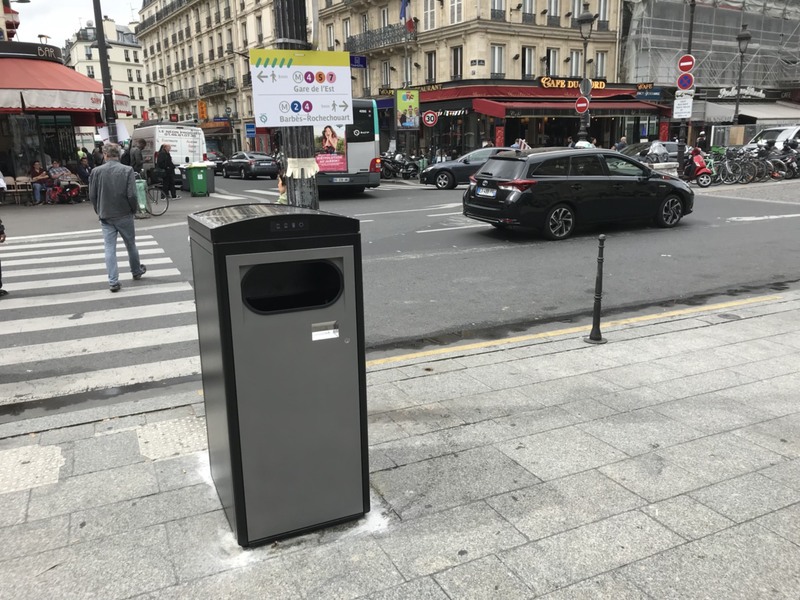 This will ease the already congested traffic nearby Gare du Nord and improve the overall experience of the city’s residents and visitors. 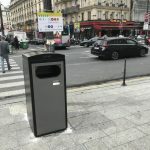 The solar-powered compactors were installed in Paris by ESE World’s local subsidiary Citec Environnement. 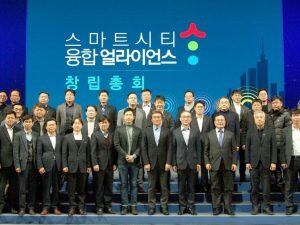 Ecube Labs is looking forward to a positive outcome from the assessment!